Seven Myths About Root Canal Treatment - Sapphire Dental Centre! When it comes to dental treatments, one in particular, has a lot of myths sounding it. Root canal treatment may be necessary and beneficial for a number of reasons, but some of these myths have made some patients fearful of this routine procedure. In this article, we will discuss seven myths about root canal treatment and set the record straight. Myth: Root canal treatment is extremely painful. Fact: Root canal treatment is no more painful that getting a filling. Your dentist will numb the area and you will not feel pain while the procedure is taking place. If you prefer, you may even have sleep dentistry so that you do not remember the procedure at all. Myth: Root canal treatment can lead to disease. Fact: This myth is based on a 90-year-old study that has since been debunked. 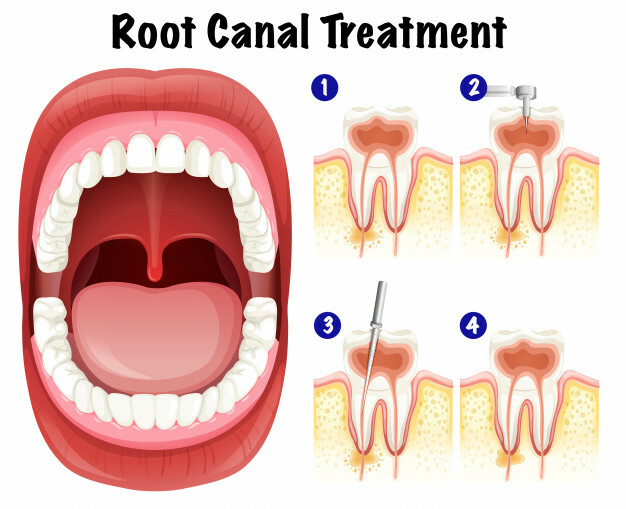 The truth is that root canal therapy helps remove infection which can actually prevent disease. Myth: It’s better to extract the tooth than have a root canal. Fact: If you can save the tooth, why wouldn’t you? The longer you can keep your healthy, natural teeth, the better. Myth: You only need a root canal if your tooth is causing you a lot of pain. Fact: Some infections cause no pain at all, but they can still lead to serious problems if left untreated. Since everyone responds to pain differently, the lack of pain isn’t necessarily an indication that you don’t need a root canal. Myth: Root canals are not permanent. Fact: In some cases, infection may return, and it may be necessary to perform the root canal again, but in the vast majority of cases, the treatment will permanently solve the problem. Myth: After a root canal, your tooth will be more sensitive to hot and cold. Fact: This may be true for some people in the hours and days immediately following the procedure, but once your mouth is healed, the tooth will be no more sensitive than it was before. Myth: Root canal treatment leaves the tooth weaker than before. Fact: While the pulp inside the root is removed, it is replaced with a polymer-like substance that helps keep the tooth strong. Furthermore, tooth enamel is incredibly strong. After a root canal, you tooth will still be just as strong as it was prior to the procedure. We invite you to talk to us further, or make an appointment by calling 905-878-8760.